This is a guest review submitted by Bob from Phoenix, AZ, USA. I didn't even have to twist his arm! Major League Baseball teams in the US use traditional wooden bats, but aluminum bats are used in many other levels of baseball as well as the many variations of softball. I am writing this review while watching a community college baseball game. Unlike many [perhaps all] four year college and high school baseball teams, these teams use wooden bats. 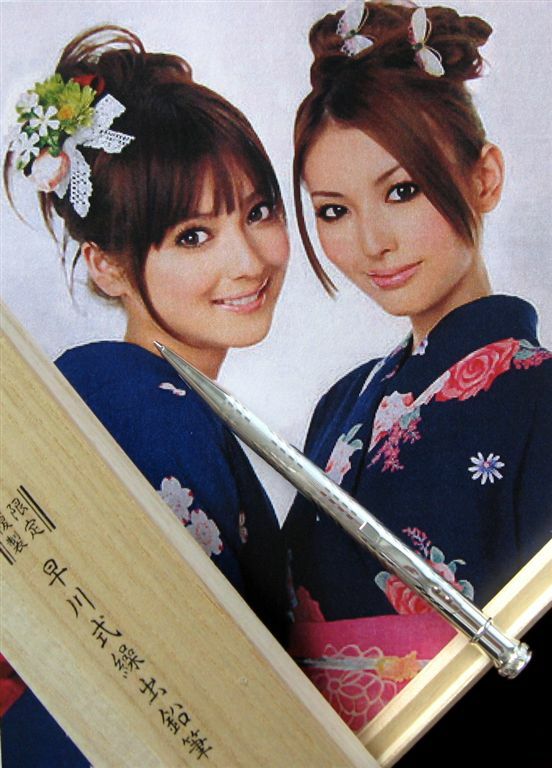 It would be appropriate, then, to review a traditional wood case pencil. 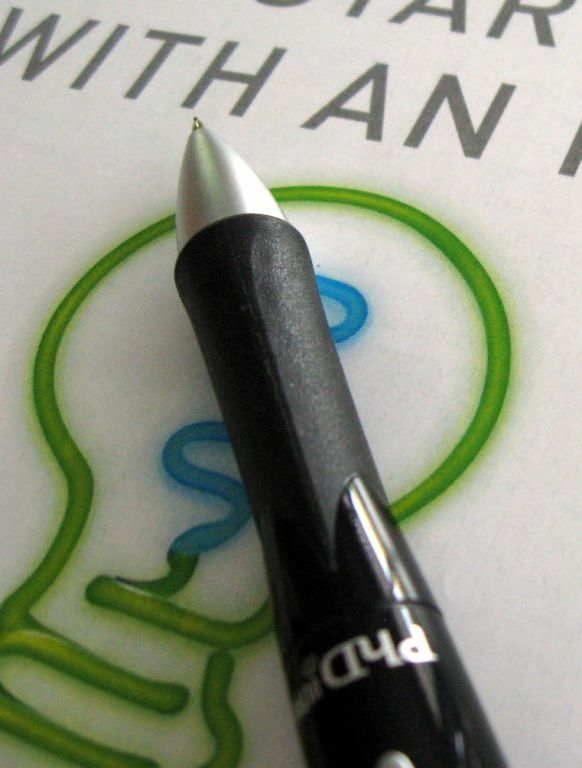 Nonetheless, I will be describing the predominantly plastic Papermate PhD Ultra mechanical pencil. And this pencil may even have some aluminum parts! 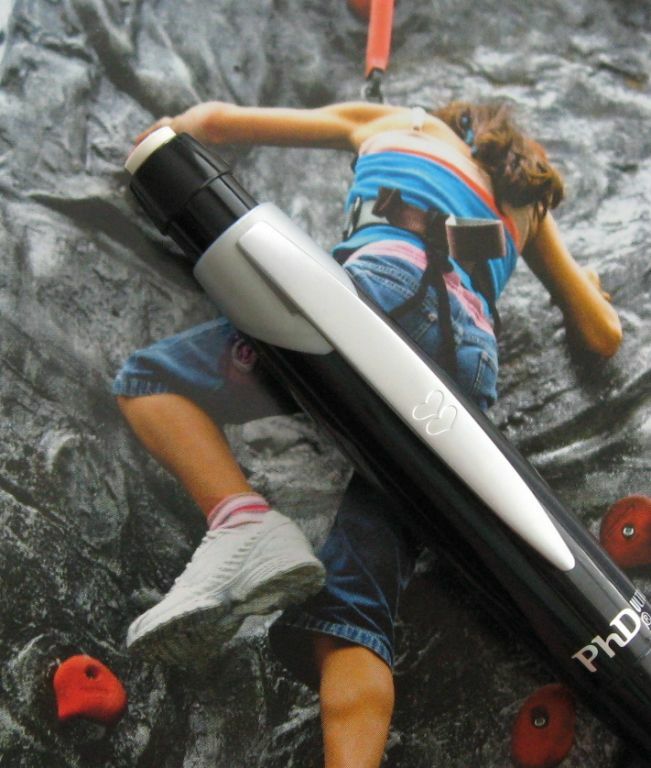 The PhD Ultra is a sizable pencil with one of those ubiquitous large twist-to-extend erasers. It is also designed and marketed for its ergonomic semi-triangular finger grip. The body of the pencil is composed of numerous contour curves, bulging along the portion of the body defined by the length of its clip. 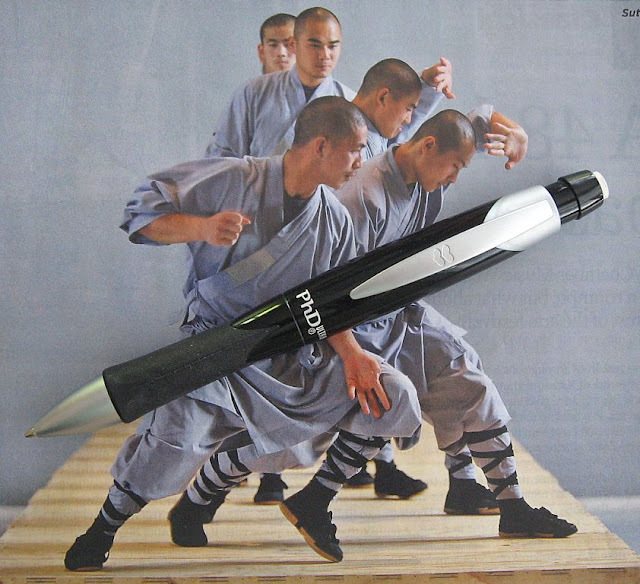 It narrows down to the contour semi-triangular grip that is the basis for the design of Papermate’s family of PhD writing instruments. The Ultra constitutes one of the newer editions to this product line. 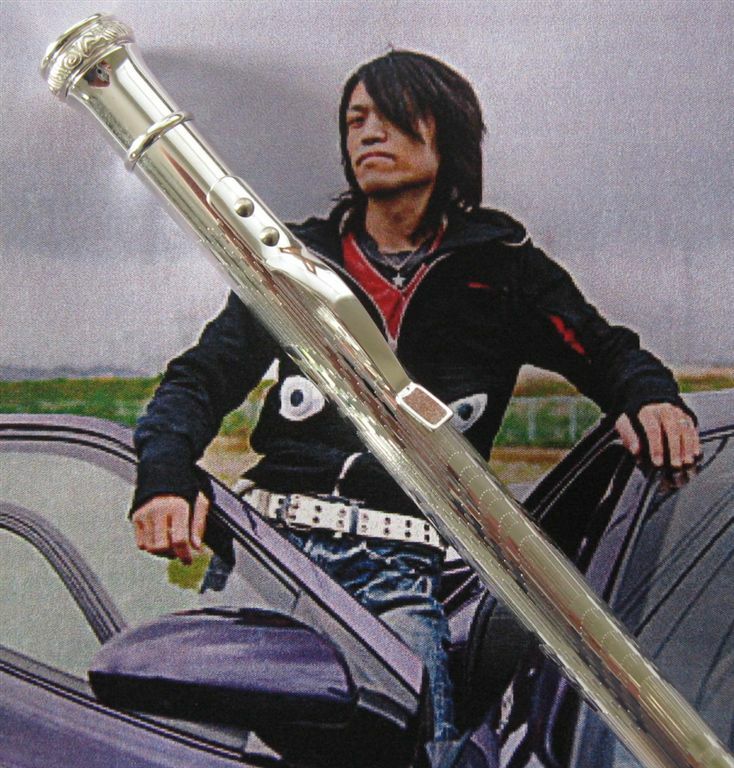 The lead is extended through a retractable conical sleeve, making the instrument pocket-safe. The cone surrounding the sleeve is a metal component shaped like the nosecone of a conventional missile or rocket. 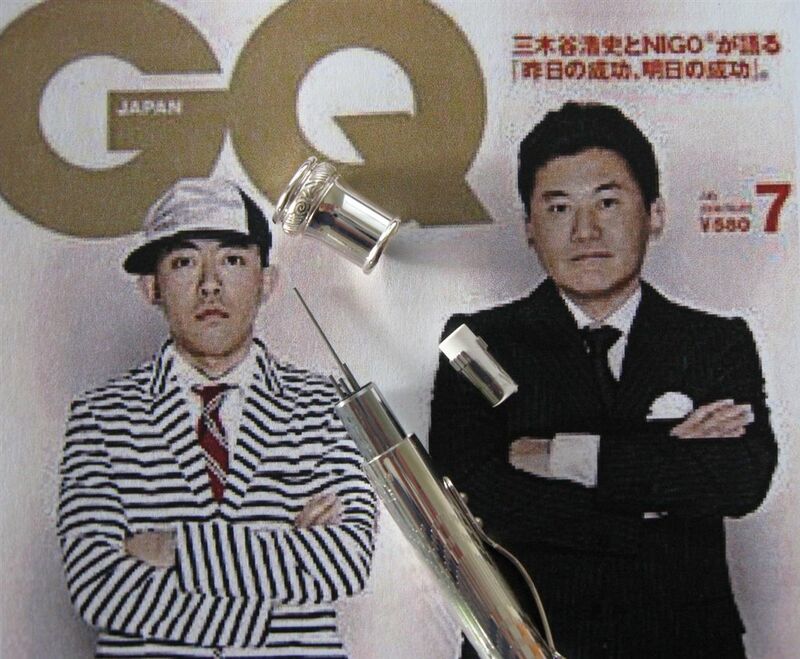 The clip is fabricated of the same non-reflective metal with a smooth finish. The top two-thirds of the pencil is composed primarily of a highly reflective glossy black plastic with a gray ring design where the clip connects to the body. 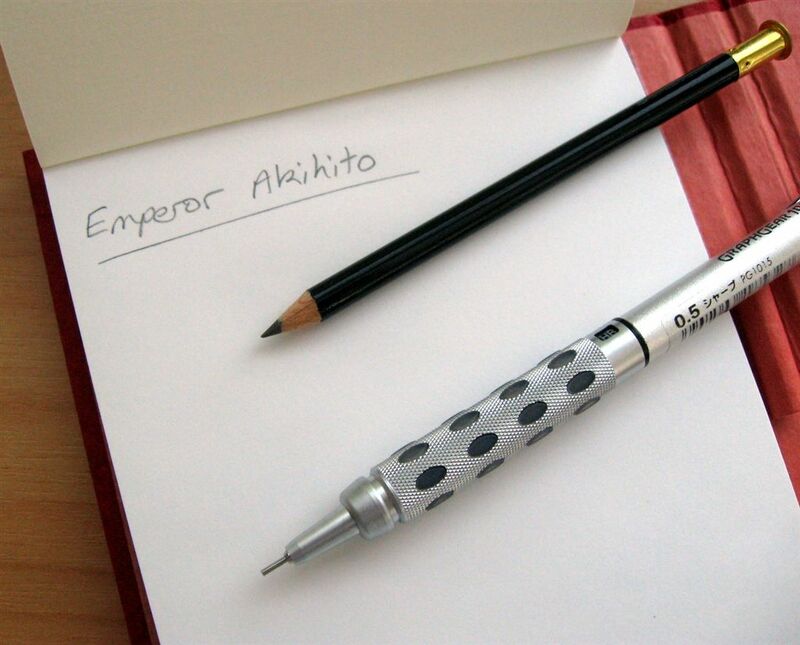 Although it is a relatively inexpensive pencil, its appearance would make it suitable in a formal office setting. With its metal trim and high-luster plastic, it is one of the more attractive of the many larger and wider pencils with ergonomic grips and twist-to-extend erasers, derived from a variation on a common manufacturing design. The grip, itself, comprises a very taut material, stretched across the underlying contoured triangular surface. 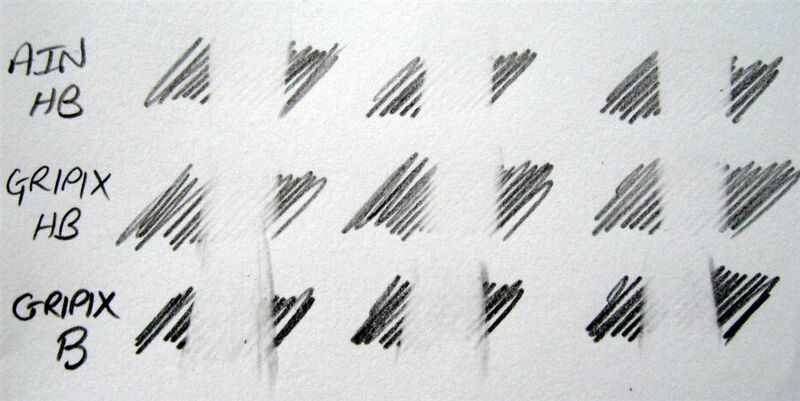 There is no give in the surface covering and upon initial observation, it might not be immediately obvious that this material is not part of the fundamental structural surface of the pencil. 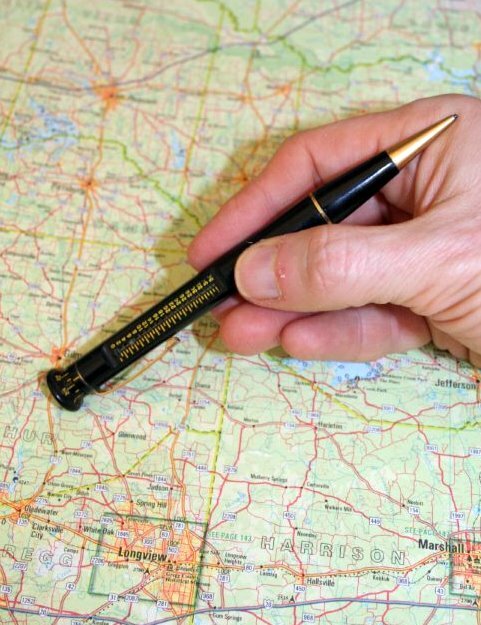 Due to the triangular shape of the grip, the pencil may be rotated in the hand to one of three positions and the fixed clip means that most users would only write with the clip side facing outward. The grip occupies most of the bottom third of the instrument. The rest is occupied by the cone and the retractable tip when it is extended. 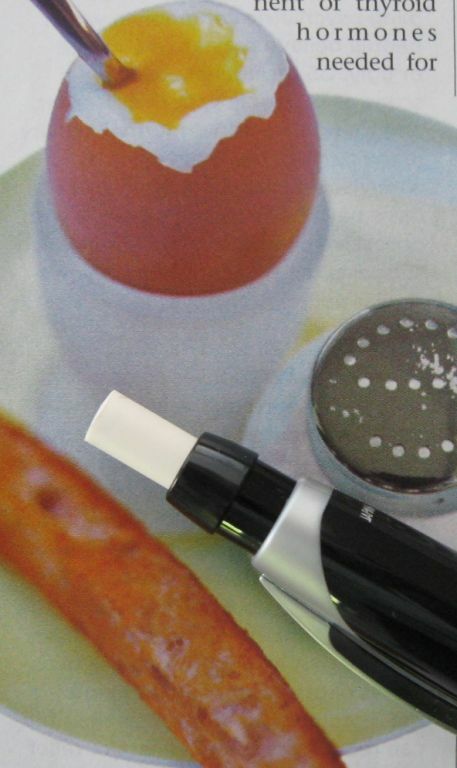 The eraser material is Papermate’s common Tuff-Stuff polymer and the eraser is held in its cylinder at the top by a plastic apparatus with two prongs that squeeze the eraser in a viselike fashion. 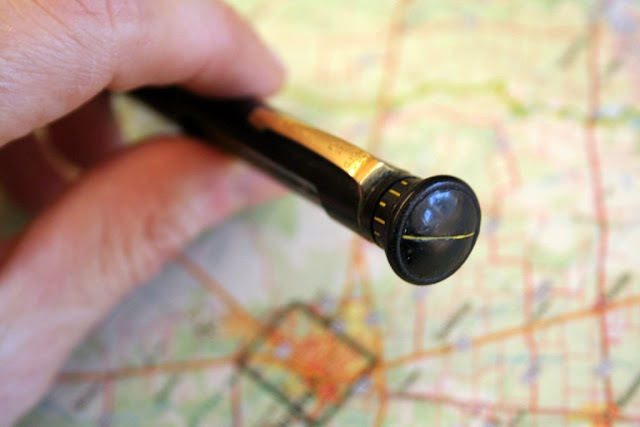 The “knob” for twisting the cylinder to extract or retract the eraser has a smooth outer surface of glossy plastic like most of the rest of the body of the pencil. 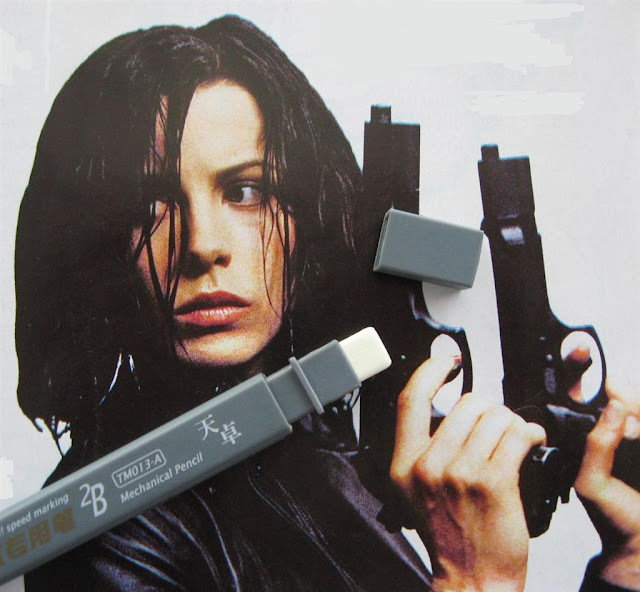 This improves the appearance of the eraser unit, but makes it harder to grip. As in most of these pencils, the pencil point is released by depressing the eraser unit. 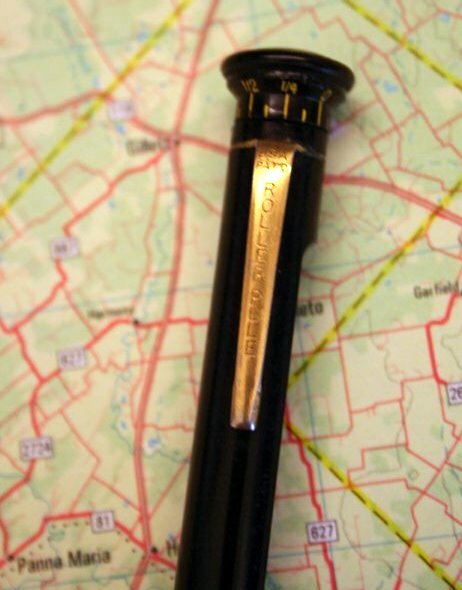 The initial press releases the conical tube. Subsequent presses release approximately 1 mm of 0.5 mm lead. 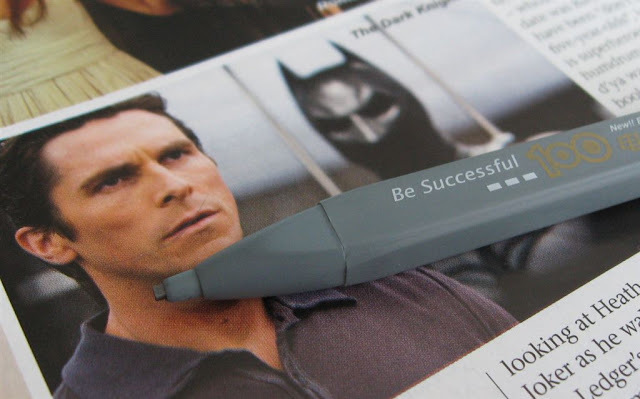 The writing tip appears to be cushioned because the lead breaks much less frequently than I would expect with a typical 0.5 mm mechanical pencil. For those who like ergonomic grips and large erasers on their mechanical pencils, I believe that is one of the better examples. 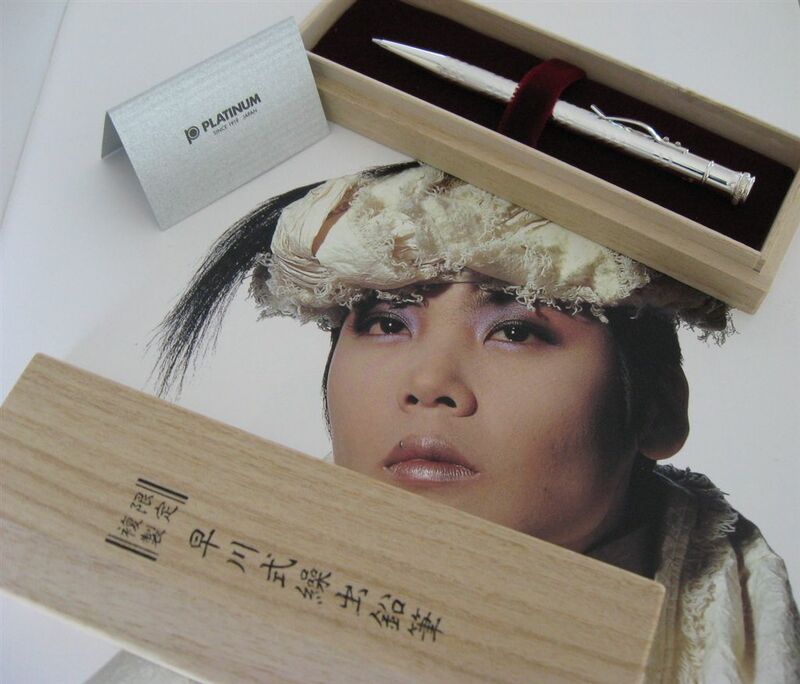 The pencil is quite suitable for long periods of general writing. 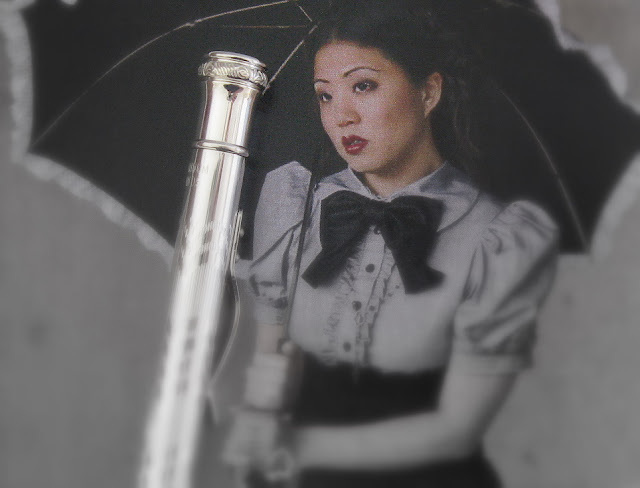 It is probably not as suitable for precise drawing tasks for a variety of reasons, including the bulky cone at the bottom which may result in a more obstructed view than thinner pencils or pencils with transparent materials at the end of the writing instrument. I’ve had this pencil for almost a year and it appears to be reasonably durable. There is some abrasion on the bottom portion on one side of the grip section. This may have resulted from pressing against a metal key or some other metal object. The abrasion is barely noticeable and has not increased. In addition, some of the writing on the barrel is gradually, but very slowly, wearing off. The internal aperture in the lead cylinder allows for approximately a dozen 0.5 mm leads. However, I have found that a smaller number such as 10 leads prevents occasional jamming. Such jams are rare and the usual lead clearing steps resolve any problem. I enjoy using this pencil and appreciate its outstanding grip, large eraser, and overall appearance. Thanks Bob. I appreciate you accepting the challenge and taking the time to write this review and send it in. You have no idea how much I want to stick another 'i' in aluminum! I am a fan of the On The Desk, At Any Time blog by Kossy in Japan. Taking some inspiration from his blog, I am going to have some occassional brief postings on things “from the desk” (mine or yours). It might be an item I am actually using, or something I want to post about but don't feel inspired to do a full post or review on, or..? 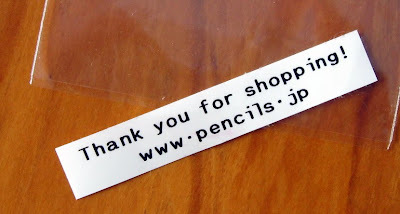 Though many of the postings will not be about mechanical pencils, I hope that overall it will enhance rather than dilute this blog. To kick off then, something from Kossy himself, a desk notepad that he sent me quite a long time ago. I sort of felt it was too good to use, but now I am going to start. 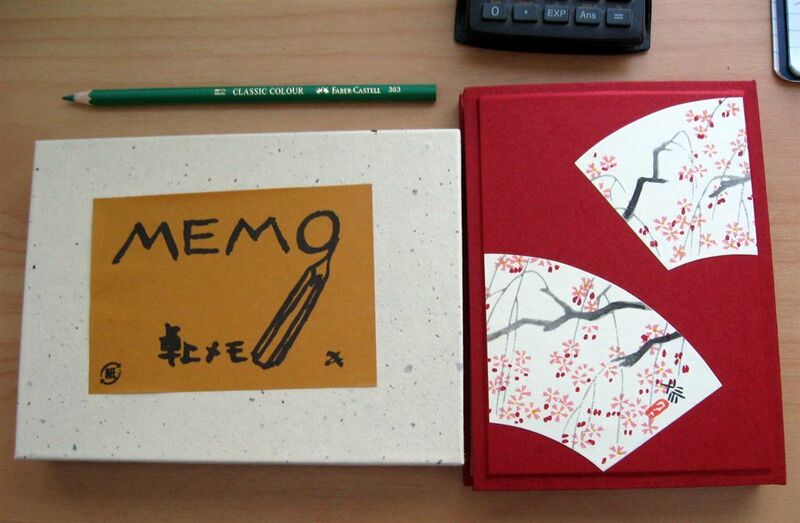 Presentation box and notepad. Cherry blossom I suppose? Being Japanese the notepad cover opens “back to front”, i.e. left to right. The red cover is very thick cardboard with a very heavy 9mm (3/8th in.) thick baseboard. 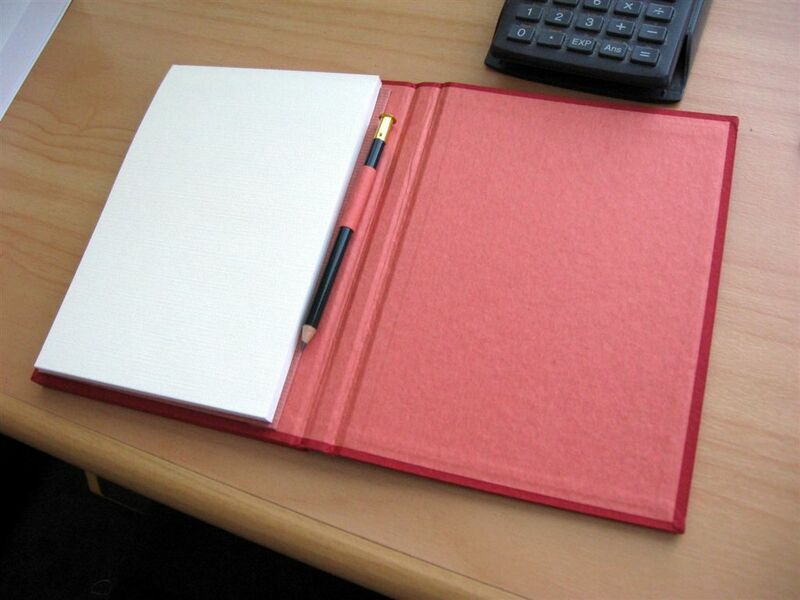 The pad is A6 size and comes with a small round wooden pencil. The back cover of the pad slides into a cover on the baseboard and is thus replaceable. 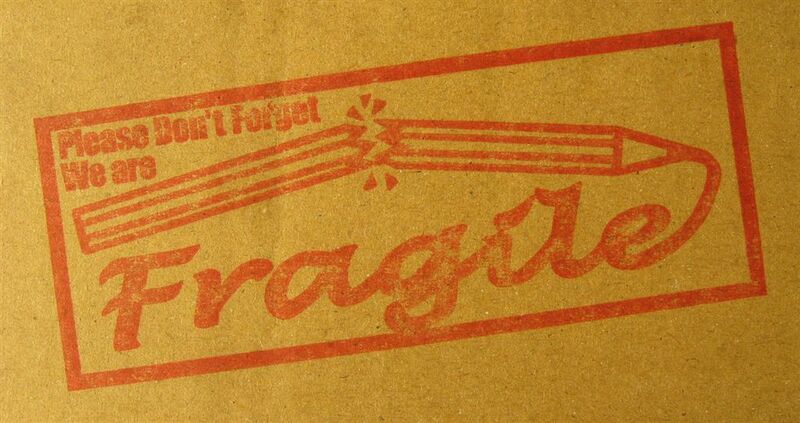 There is no branding discernable to my eyes, but I imagine this marking on the cover means something? Not much else to say. As for the quality of the paper, etc well Kossy doesn’t speak much English but (with the help of Google translate?) he included this note, “I bought it a old shop. The shop is very famous in Japan. Because always the Royal Family of Japan chose it.” In a country like Japan, I figure that's a pretty solid endorsement and worth more than any comment I might make. 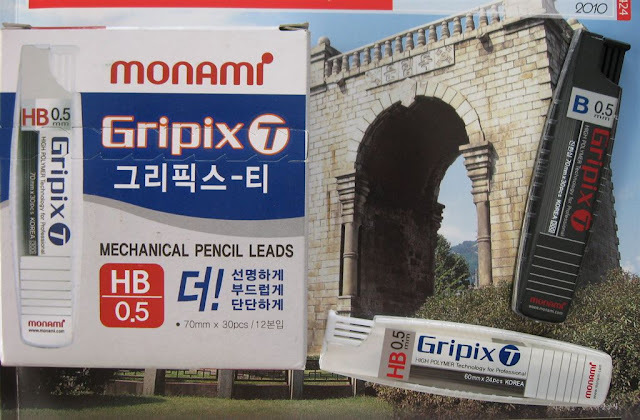 I recently reviewed the Monami Gripix mechanical pencil, so now it’s time to check out their companion leads. Firstly then, the brand name is not entirely the same. For some reason the mechanical pencil and the eraser are Gripix, whereas the leads are Gripix-T. According to the Monami website, Gripix-T leads are only available in 0.5mm HB and B grade. No other grades or diameters are available. The HB is supplied in a white container and the B in a black container. So, no chance of mixing those up, which is good. Of the two, I prefer the black container, it looks good and professional. The container has a push down section to open and dispense leads through a small hole. 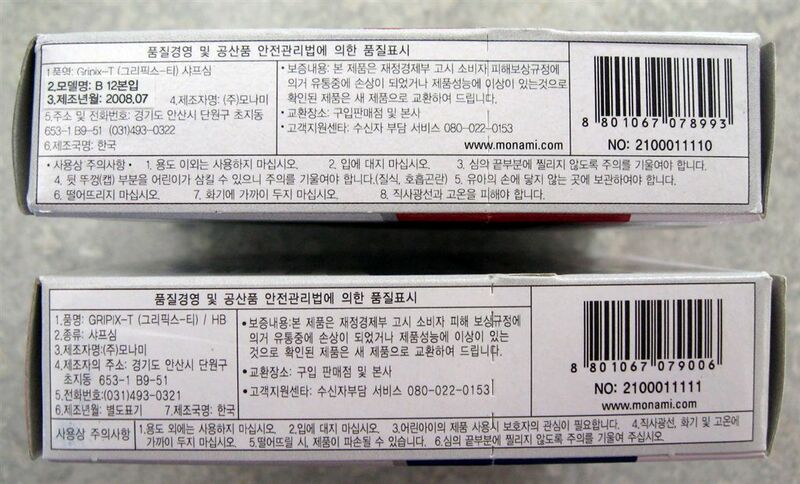 The cardboard packages of 12 containers of leads have a lot of information on them. 12본입 : 12 containers are enclosed. 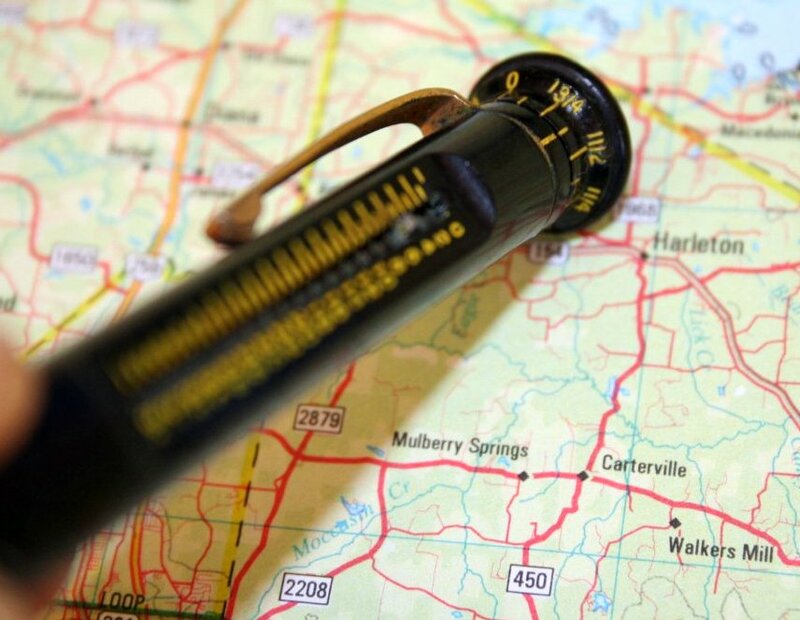 …whilst the finer print is the boring stuff like manufacturers name, address and contact details, quality assurance and consumer legal rights information, etc. 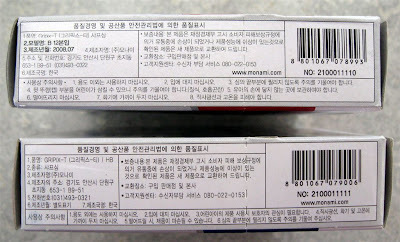 There is also a specific “Made in Korea” statement. My leads were all recently purchased at retail, but Monami have at some stage increased the length of their Gripix-T leads from 60mm length to their current 70mm, and from 24 leads per container to 30, as shown below. 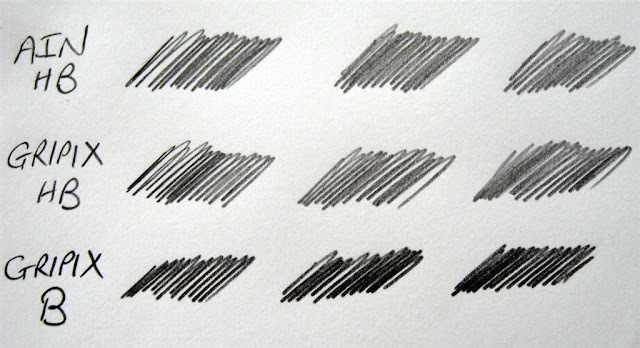 So, lets put these “HIGH POLYMER Technology for Professional” 0.5mm leads to the test, lining them up against Pentel Ain 0.5mm. First then lets compare darkness. Well, both Ain and Gripix-T HB grade were fairly similar but Gripix-T B is noticeably darker, and definitely felt “softer and smoother” in use. That’s good, because I sometime find there’s not enough difference between the grades of a brand of lead. Now for erasing with a Staedtler Mars Plastic eraser. 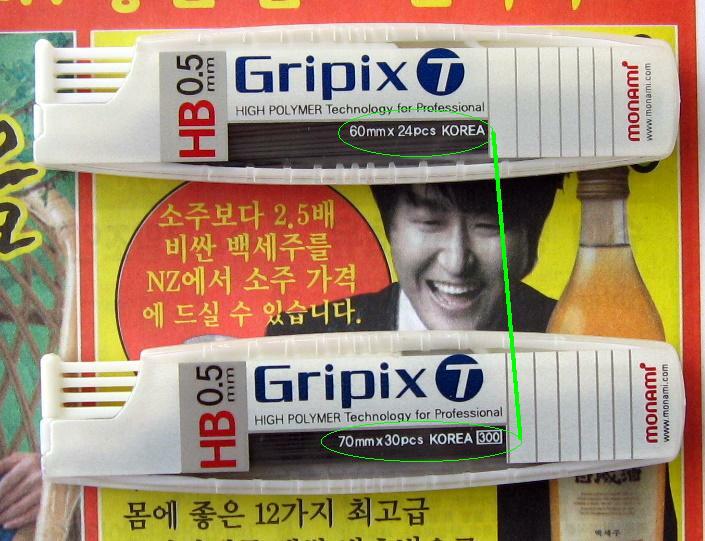 Not much difference, although with Gripix-T HB there was a very slight tendency to smear, and this was a little more pronounced with B. The B lead also left a very faint line behind, it didn’t erase 100%, but nothing to get too concerned about. As for smearability when being rubbed over by hand, then Ain HB was the least susceptible to smearing, Gripix-T smeared just a fraction more than Ain HB, and Gripix-T B smeared a fraction more again. 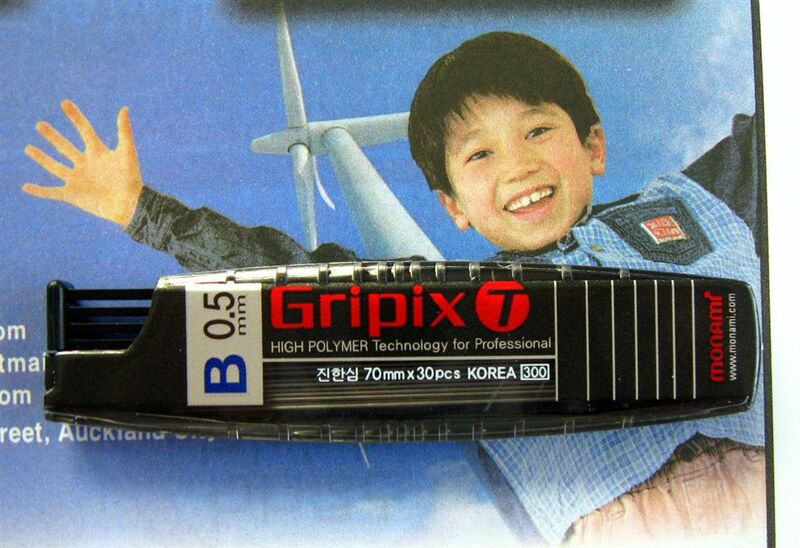 Overall I’d say Gripix-T is fairly smear resistant. Whether that’s good or bad depends on your requirements. Lastly then the strength test. It was no contest, all over in the blink of an eye. 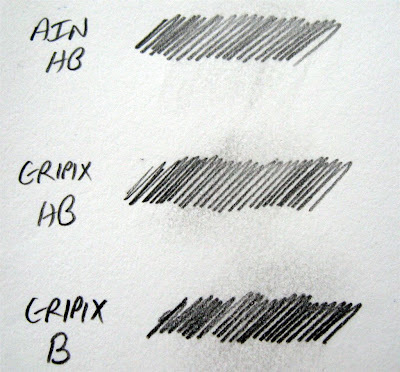 Pentel Ain HB is significantly stronger than Monami Gripix-T HB, which in turn is possibly slightly stronger than Gripix-T B grade. I’ve got to admit the strength test disappointed me, because up to this final test I thought Gripix-T was doing quite well. I believe that when it comes to lead strength more is always better, but that doesn’t mean that some mid-strength leads aren’t actually strong enough to generally do the job. Well, I think Monami Gripix-T is generally strong enough, it’s just Ain is stronger still. 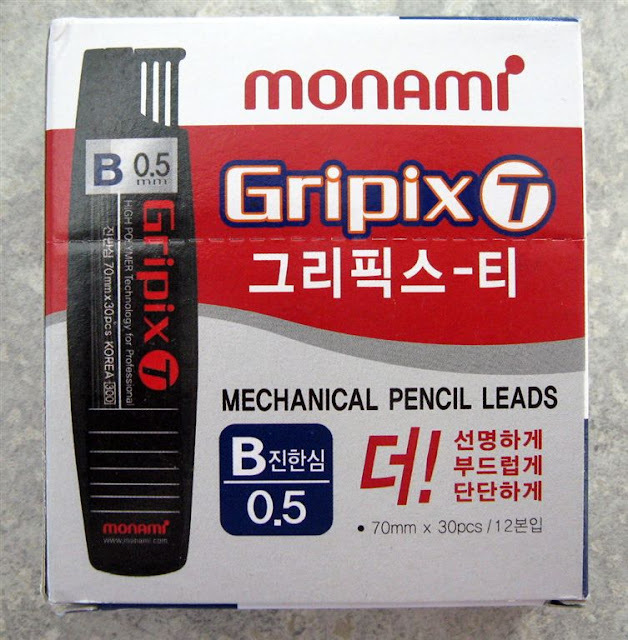 NOTE: This is article Number 2 on the Monami Gripix range, the first being the Gripix mechanical pencil. 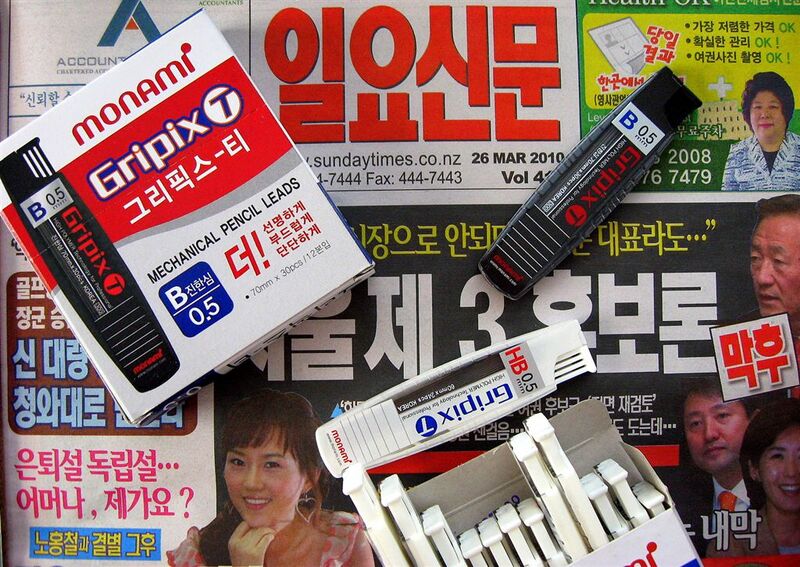 Article 3 will be the Gripix eraser. Yet another 1.85mm rectangular lead 2B examination grade mechanical pencil from China. Clearly they love them over there. Well this one is a different design to the others that I have previously featured, and I quite like it. As you can see it is printed with a mixture of Chinese characters and English words. On the far right is the company or brand name TianZhou which means something like Best Sky. 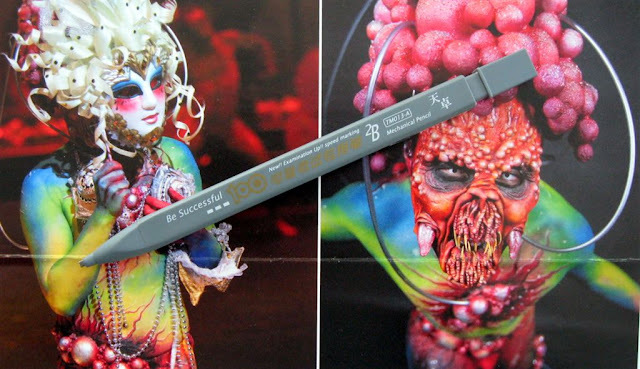 The pencil model would obviously be TM013-A. I like that plain matt mid-grey colour scheme and rectangular blocky body look. The white and metallic gold printing fits in well too. Granted the rectangular body is not the most comfortable to hold in the hand…but hey…it looks great. Certainly sets it apart from the Clones. Eraser under the top cap. I might be a self-styled King of the Clones, but Be Successful is what I would arm myself with before I did battle with the Scantrons. I feel like I am fast becoming some sort of Clone-Lord. Not that I’m complaining, I kind of like it…a self-styled King of the Clones…I can live with that! So here’s yet another differently branded clone of the 1.85mm rectangular lead mechanical pencil that I’ve featured before. That factory must surely be doing well for itself. This version is sold under the Chung Hwa brand of China First Pencil Co. I guess the model number is 128. Apparently in Chinese, Chung Hwa means ‘China’ in a cultural sort of way, rather than a geographical or political way. 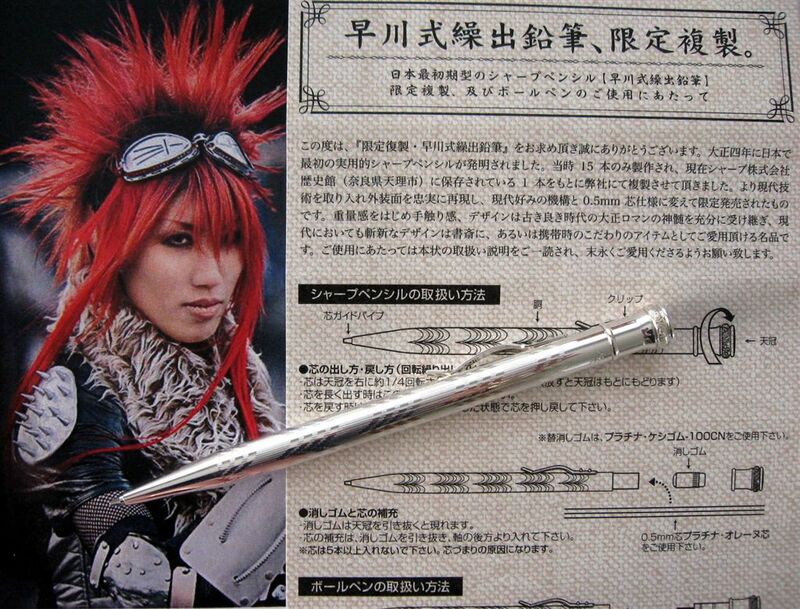 As expected it is sold as an examination pencil. The left column means "Make Chinese successful" – apparently this sounds perfectly normal in Chinese. 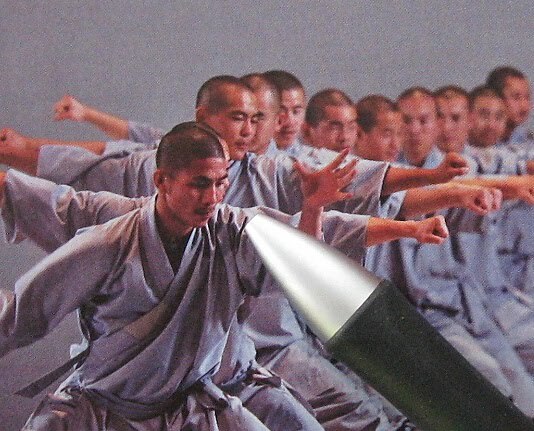 Right column: Association of Chinese Pen Manufacturers special designated pencil for exams. I note the eraser even has 2B on it. The cardboard sleeve is the same length as the eraser and it’s a real struggle to push the eraser out of the sleeve. 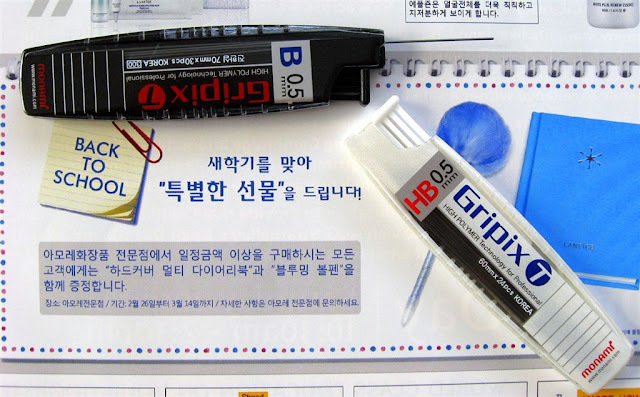 The eraser is quite soft and a little crumbly. I think it’s got a fairly high content of scrubber fillers. 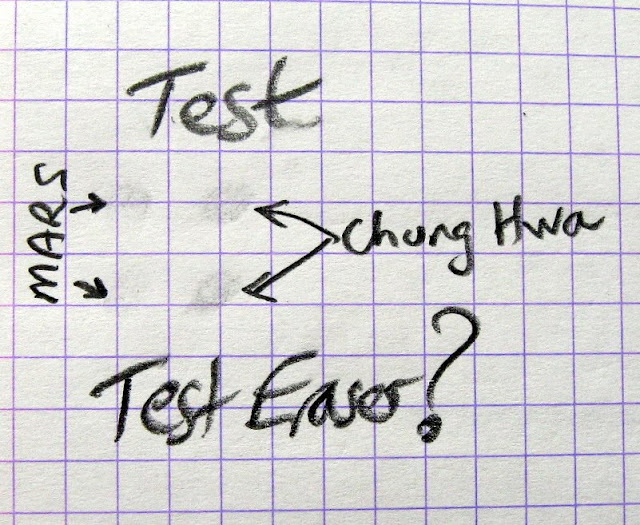 I drew a few test bubble circles with the 128 pencil and tested the eraser. Not too bad, but Staedtler Mars plastic is better. 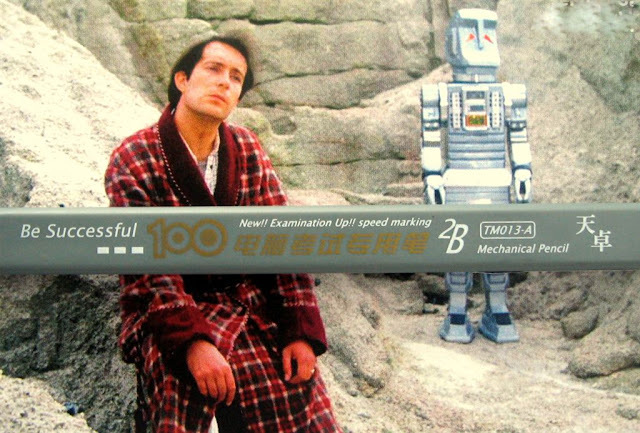 Obviously Scantron machines in China require 2B mechanical pencil lead rather than No 2 wooden pencil lead. Sorry, couldn’t resist the smart comment. Thanks to Matthias at Bleistift for sending this one to me, and providing translation services. 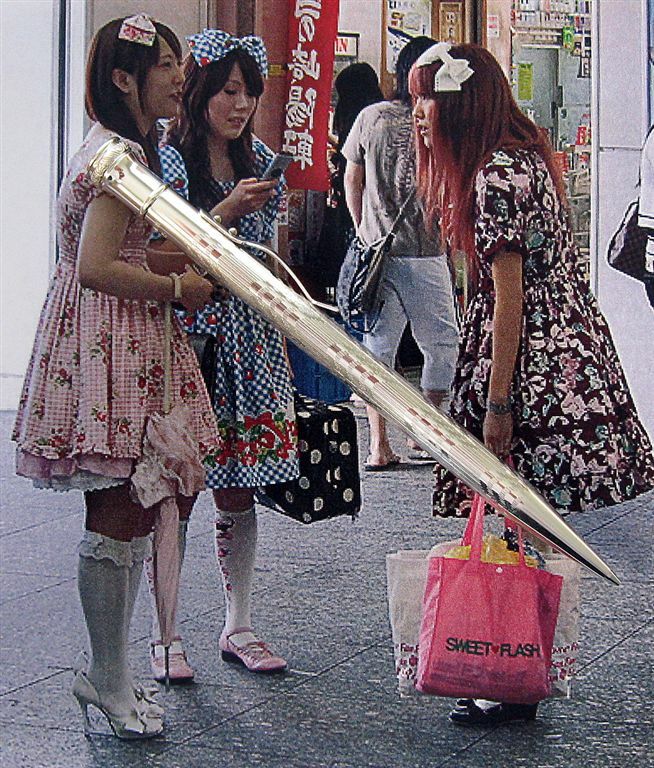 You may have read of my recent escapade with the pencil sirens. Well I escaped from beneath their heel with my Mechanica bounty, but my mechanical pencil odyssey wasn’t over. I soon foundered on the fabled Isles of Bundoki where no sooner had I stumbled ashore than I fell easy prey to the charms and delights of a new set of exotic sirens. 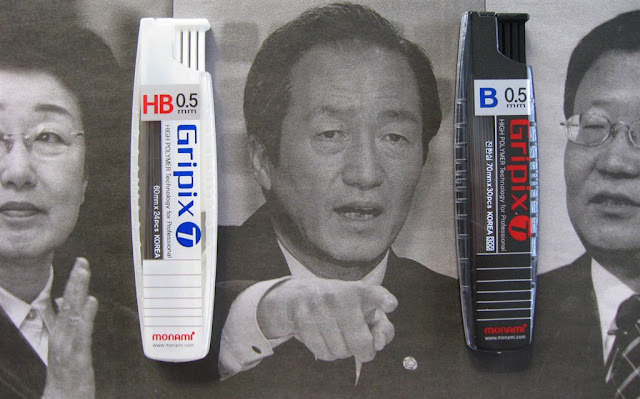 I am sure that many of you will be familiar with the story of Tokuji Hayakawa, the founder of the leading electronics company Sharp Corporation, and father of the mechanical pencil industry in Japan. 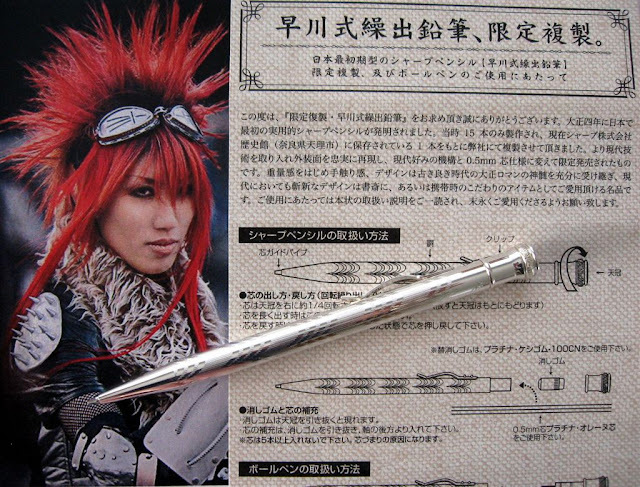 His success can be measured by the fact that in Japan, the name for a mechanical pencil is, a ‘sharp’. 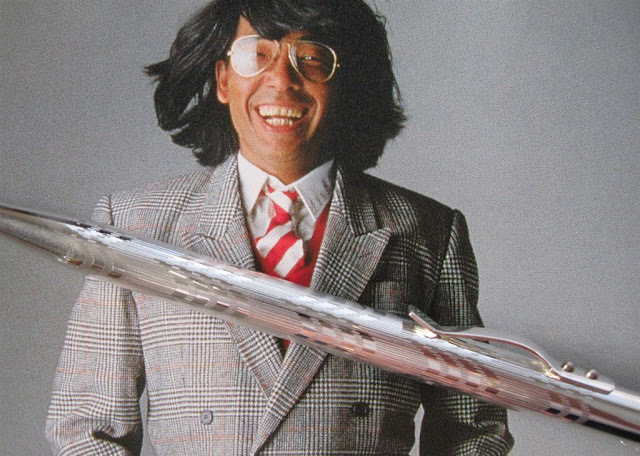 Sharp Corporation are no longer involved in the mechanical pencil industry, but Platinum Pen of Japan recently created a tribute pencil to Tokuji Hayakawa. I first read of this pencil on Pencil Talk, and in my siren trance, with it there staring me in the face, I could resist no longer. Now, Platinum’s original tribute pencil was a limited edition (M-10000A?) 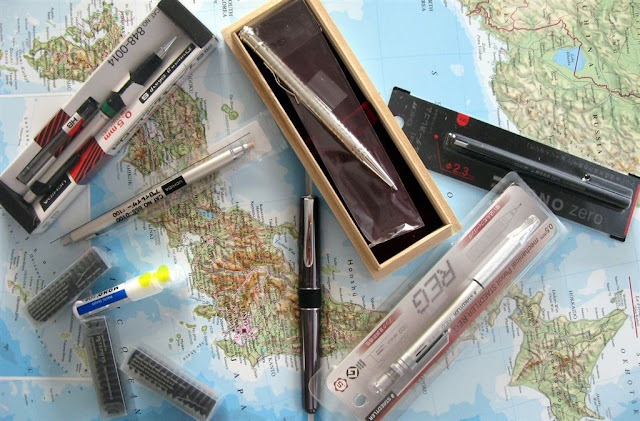 as shown on Pencil Talk, whereas mine is the follow up M-10000B limited edition - 10,000 pieces at JPY 10,000 recommended retail price. I have read there is a companion ballpoint pen, and that the 10,000 pieces is the combined total of mechanical pencil and ballpoint pens. There is a metallic finish cardboard outer which protects the simple but impressive wooden display case. The wooden case is uncoated, but sanded smooth. The two halves fit tightly together. Instructions – it’s all Greek to me - but at least I can read the pictures. Sterling silver plated brass body. The body is decorated with a chevron type pattern. A modern repetition of an old style. It feels fairly substantial in the hand - the chevrons and lines encourage your fingers to move around. Exploring, as it were. Decorated capital on the head of the column. The 0.5mm lead is advanced by a standard twist top ratchet mechanism. You twist the top cap to activate. A new twist on an old idea? Eraser beneath the top cap. 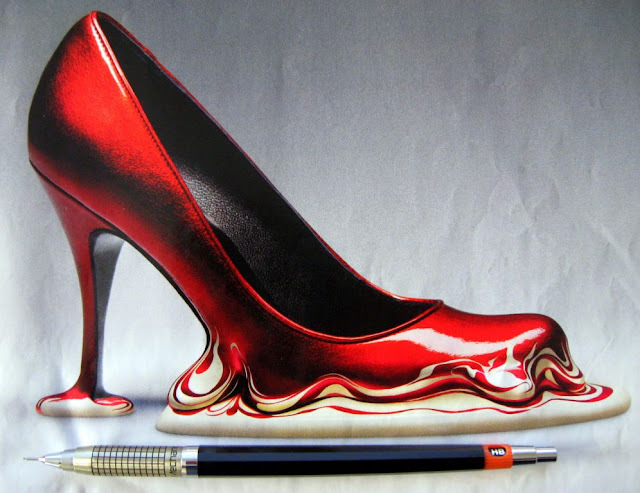 Lead magazine beneath the eraser. These old style pocket clips are never my favourite, but at least this one maintains some staunch square dignity rather than being pathetically spatulate. 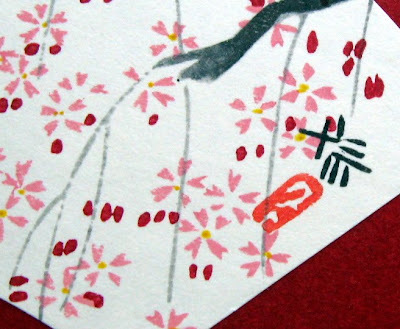 Now Helen might have been the face that launched a thousand ships, but on my package full of Bundoki treasure there was a good old fashioned ink-stamp, the stamp that launched a…debate with a sockpuppet? It was good to see the stamp in real life. Some other bounty, treasure, flotsam and jetsam from the Isles of Bundoki and Pencils.jp. Well, I think my odyssey is finally over. It’s going to take me (and my pencil budget) quite some time to recover from it all. I’m just glad it didn’t finish with me waking up on the floor, looking in the mirror and seeing something like this tattooed on my forehead. 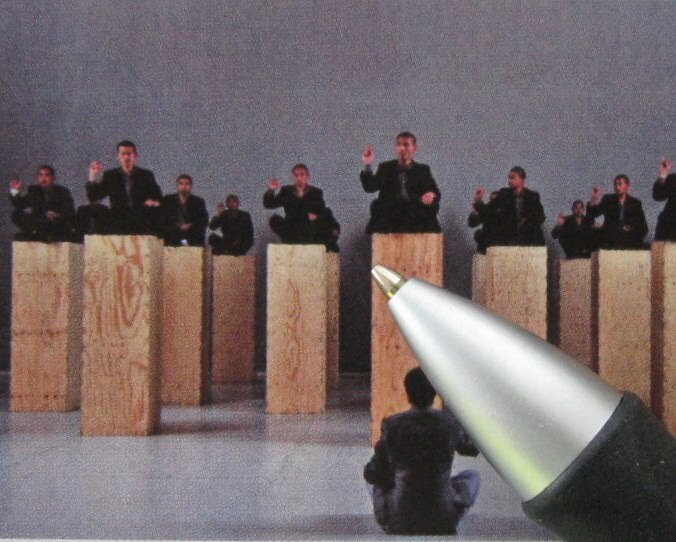 I recently posted a copy of an old advertisement about a mechanical pencil with an inbuilt measuring wheel. Well that posting jogged the memory of ‘P’ and he commented that his grandfather had one of those pencils. 'P’ then went on a bit of a hunt and found the pencil in question, and sent me these photos and a little more information about it. P’s grandfather used to use his Roller Rule mechanical pencil to measure road trip distances on a map. P demonstrates and explains here. The cap rotates with friction against your map. The cap is supposedly 1 inch in circumference, and the cap is calibrated to the 1/8 inch. For each rotation of the cap the ‘head on the shaft’ moves one indicator. And as the advertisement says there are 36 indications, i.e. it can measure up to 36 inches. The shaft has a corkscrew that moves the head. The lead measures .046 inches in diameter. (That’s 1.18mm in modern speak) Eraser inside the body. Photos and text supplied by, and used with permission of ‘P’.